The 2017 Chevrolet Camaro ZL1 is one of the most powerful vehicles on the market today and it carries a relatively affordable starting MSRP of $61,140. This American muscle car has been designed to compete with the top performance cars from around the world. That tough task is made possible thanks to features like magnetic ride control, a supercharged V8 engine, and high-performance Brembo brakes. 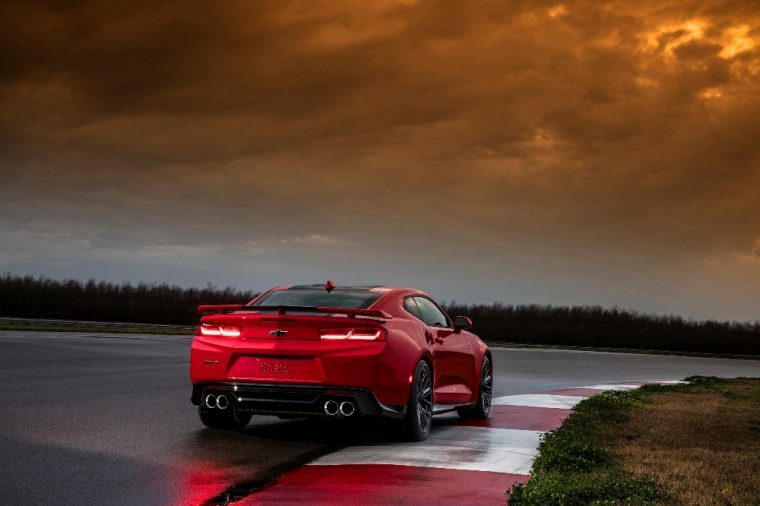 That equipment all comes standard on the ZL1 and helps push it to the limits of what anyone thought a Camaro was capable of achieving. 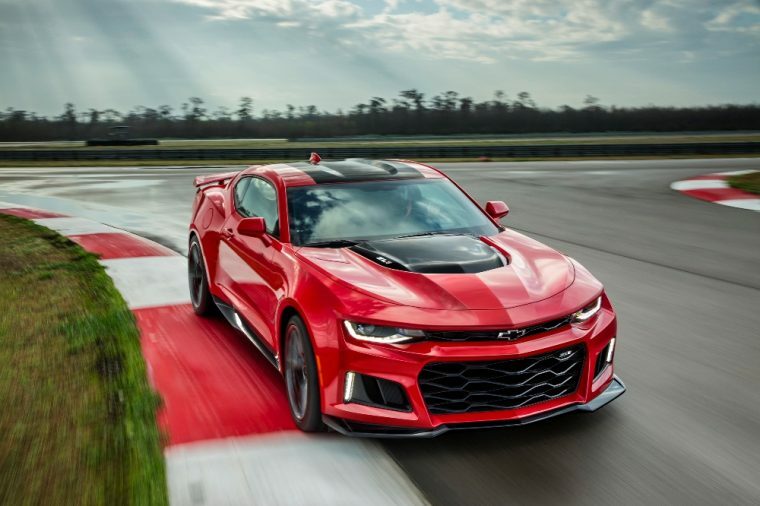 To provide an example of this car’s breathtaking capabilities, the 2017 Camaro ZL1 completed a lap at the 12.9-mile Nurburgring road course in just 7:29:60. That’s approximately 12 seconds better than the previous Camaro ZL1. What’s New for the 2017 Chevrolet Camaro ZL1? This is the first time GM has offered the ZL1 trim for its sixth-generation Chevy Camaro. The 2017 Camaro ZL1 is available with a number of advanced features such as Custom Launch Control, a new 10-speed automatic transmission, and the Chevy MyLink infotainment system with an eight-inch touchscreen, which is compatible with both Apple CarPlay and Android Auto. 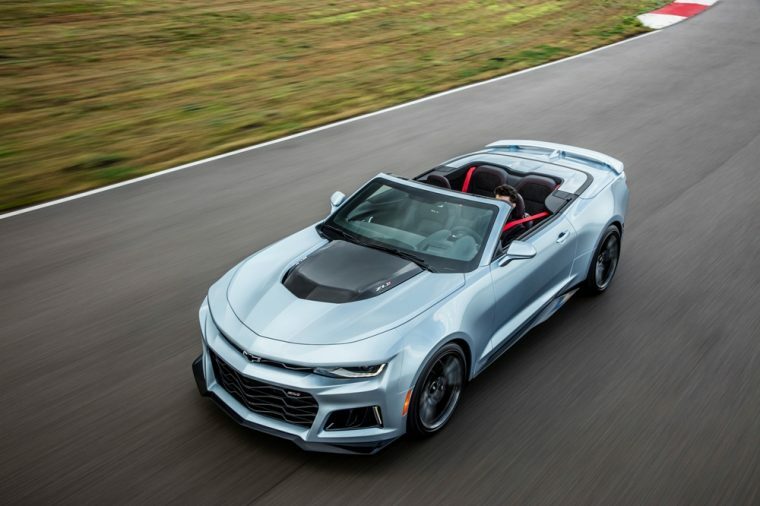 On top of those premium features, Chevy gives owners the option between coupe and convertible body styles. The 2017 Camaro ZL1 comes with a heart-stopping exterior design that includes features like its huge upper and lower grille openings, which are used to direct air towards the car’s powerful V8 engine. In addition, a dual-mode exhaust system adds style to the back of the vehicle as do the ZL1’s standard 20-inch forged aluminum wheels. Other eye-catching features include the bold front splitter, three-stanchion spoiler, and Goodyear Eagle F1 SuperCar summer-only tires. The convertible model also features a fully automatic soft-top roof capable of folding downward even at speeds as high as 30 mph. Every 2017 Camaro ZL1 comes equipped with a 6.2-liter supercharged V8 engine rated at 650 horsepower and 650 lb-ft of torque. This is the same engine that’s also used in the Corvette Z06 and Cadillac CTS-V. With the Camaro ZL1, consumers have the choice between a six-speed manual or 10-speed automatic transmission. 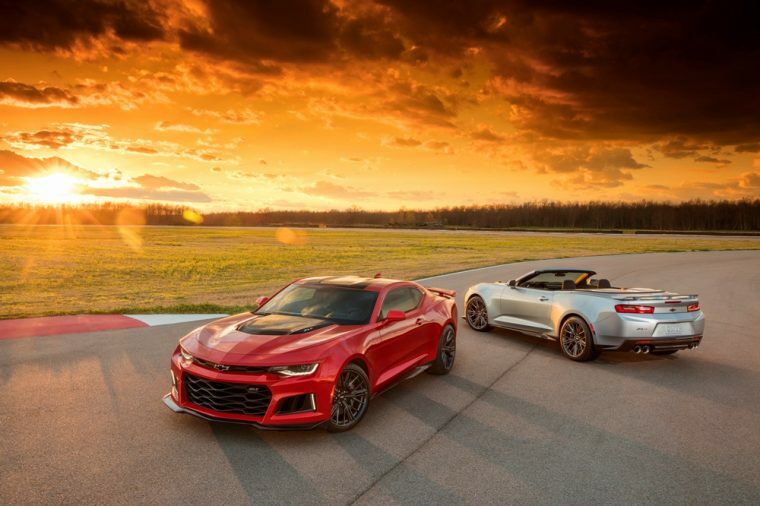 Chevrolet has yet to release info regarding the ZL1’s official top speed, but the automaker did reveal this high-performance Camaro can rocket from 0 to 60 mph in just 3.5 seconds. Furthermore, the Camaro ZL1 can cover a quarter-mile in a mere 11.4 seconds. When equipped with the standard six-speed automatic transmission, the Camaro ZL1 yields an EPA-estimated 14 mpg in the city and 20 mpg on the highway. Also, while Chevy officials have stated the 10-speed automatic will make the ZL1 more efficient, the automaker has yet to release specific details regarding the vehicle’s efficiency when paired with the 10-speed gearbox. The interior of the Camaro ZL1 is based off the design of the SS model’s cabin, which was named one of Wards 10 Best Interiors earlier this year. The Camaro ZL1 comes standard with Recaro performance seats with sueded microfiber inserts and a flat-bottom steering wheel wrapped in the same material. This gives drivers a comfortable and well-appointed cockpit from which to work, while additional tech features such as a wireless charger and head-up display provide even more luxury and refinement. Chevy even offers the MyLink infotainment system with the 2017 Camaro ZL1, so the driver can stream their favorite music via Apple CarPlay or Android Auto while they’re cruising around the racetrack. However, if it’s abundant cargo space you’re looking for, then you might want to consider taking another vehicle to the grocery store because the ZL1 only provides 9.1 cubic feet of storage space in its trunk. Safety is always a major concern for vehicles like the Camaro ZL1. 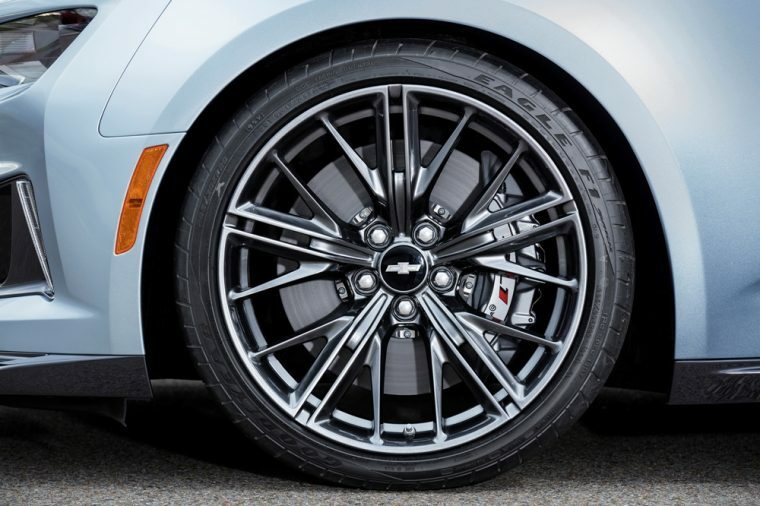 That’s because with great speed comes the potential great danger, but that’s why Chevy provides high-performance Brembo brakes for each ’17 ZL1. These premium brakes allow this muscle car to stop on a dime and they’re also more resistant to fade. More safety equipment can be found inside the cabin. There are eight standard airbags and a rearvision camera with rear park assist. Those safely features are surrounded by an ultra-high-strength steel safety cage that adds more protection. In addition, the ZL1 offers active safety features like rear cross traffic alert and side blind zone alert with lane change alert.